I had a 3 month old bunny die this morning her mother and sister were both in the cage with her yesterday. She wasn't eating and she stayed inside the nestbox all day! I picked her up and she had this blood type stain on her genital fur and she looked fine when I held her. I couldn't identify a problem and the other rabbits appear to be hopping around just fine. This always seems to be a problem with my herd when they die they rarely show symptoms. This was the first time we have had the not eating symptom she didn't appear warm when I held her but she appeared on the colder side...(the pen is outside). It's very difficult to say with certainty why the rabbit died, since I'm way over here. But, you do give me a few clues. 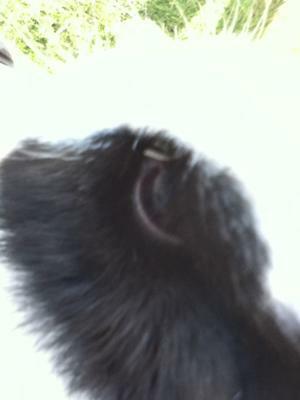 That said, I strongly suspect an enterotoxemia killed your bunny. The main danger period for enterotoxemia is 5-8 weeks of age, however my rabbit husbandry books all say that any time the specialized bacteria in the guts get imbalanced, this can result in a serious or fatal diarrhea. And as you describe, death is frequently the first symptom. 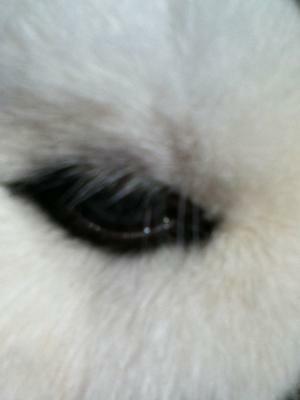 The reddish stain on the rabbit's hind end supports this theory. Clearly your bunny was not feeling well. The first and main factor is feed. 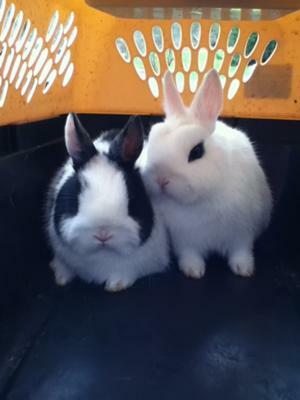 Your bunnies (thanks for sharing pics!) look very well fed. Is there a chance your herd is generally overweight? This one factor might be the culprit in your herd. Your rabbits are which breed? Dwarf Hotot, including correctly marked and dutch-marked? Any other? Ideal weight for this breed is just 2 1/2 pounds, with the maximum allowed being 3 pounds. This is a breed that carries the dwarf gene, meaning there's a chance your breeders may or may not be the heavier false-dwarfs. (See our Dwarf Gene page for explanations.) You need to know whether or not each rabbit is a true or false dwarf, and maintain their weights appropriately. 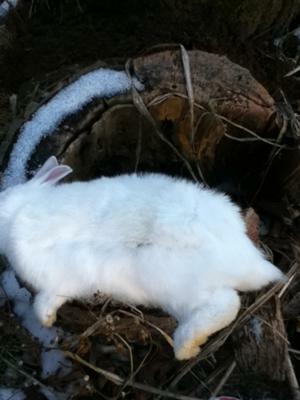 Any dwarf hotot rabbit weighing over 3 1/2 pounds is most likely overweight. Along with over-feeding is typically a lack of - or imbalance in - fiber in the diet. Too many calories and too little fiber. 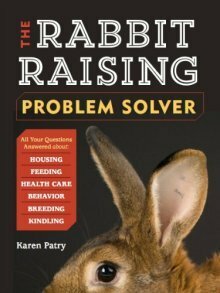 You can correct both overfeeding and low fiber by feeding timothy, orchard or grass hay, all-you-can-eat, and allow the rabbits a ration of 2-3 ounces of excellent quality commercial rabbit pellets per day (for the dwarf hotot breed). And no treats. To ensure enough trace minerals, it might be good to get a mineralized salt lick for each cage, pen or enclosure. When your rabbits have reached their correct body weight, then increase the feed. Use weight as a guide for how much to feed, with hunger level only as a secondary guideline. Which brings me to another consideration: Why is the nest box still in use? A nest box should be removed by the time the bunnies are 21 days old. But, if your rabbits are outside in pens, you're probably calling their little sleeping box a nest box? At any rate, you might want to pull it out, bleach it well, rinse, dry and replace. I don't think there is any need to move rabbits. The cold is not a problem for rabbits, especially if you're providing a sheltered, stuffed-with-hay 'warren' for the rabbits to retreat to. An on-the-ground pen or enclosure may have been the source for the germs that killed your rabbit. But, you can't keep your animals in sterilized surroundings. That is what immune systems are for - to protect your rabbits from bacterial (and viral) onslaughts. The main concern are the feed issues, in my opinion. Fix those, and I'd expect the incidence of untimely deaths to go way down.